Greek carnivals at this time of year can be modest but they showcase ancient rites and traditions as well as providing reminders to some bloody moments in the country's modern history. "Clean Monday" in the Greek Orthodox calendar, marks the beginning of Lent. It is also, in many places, the culmination of the carnival season; in others, it ends on Sunday. Wherever they lie in the calendar, carnivals in large Greek cities are a pale, garish imitation of the world's most prominent fiestas, even in the western city of Patras, Greece's third-largest, which holds the largest festivities in the country. Still, in smaller places, a large variety of customs, many dating from ancient times, are still celebrated. 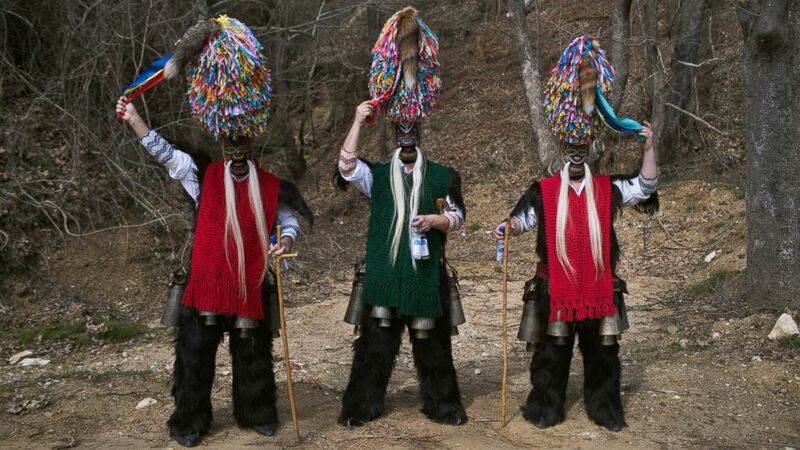 In northern Greece, two of the most celebrated carnival customs are found in the mountain town of Sochos, just northeast of Thessaloniki, and in Naoussa, southwest of Greece's number 2 city. In fact, the costumes and bells included can be worn in Sochos on the day after Epiphany — January 6. It wouldn't be particularly weird. The masked "soldiers" and "brides" converge in the town's main square. The soldiers' coin-covered chests rattle as they shake to greet other groups. Eventually the masks are removed. The coins and masks are passed from generation to generation.The parade ends with a solemn dance commemorating the razing of the city by the Turks in 1822, during Greece's war of independence. These carnivals may not match Rio de Janeiro's but customs sure do matter.